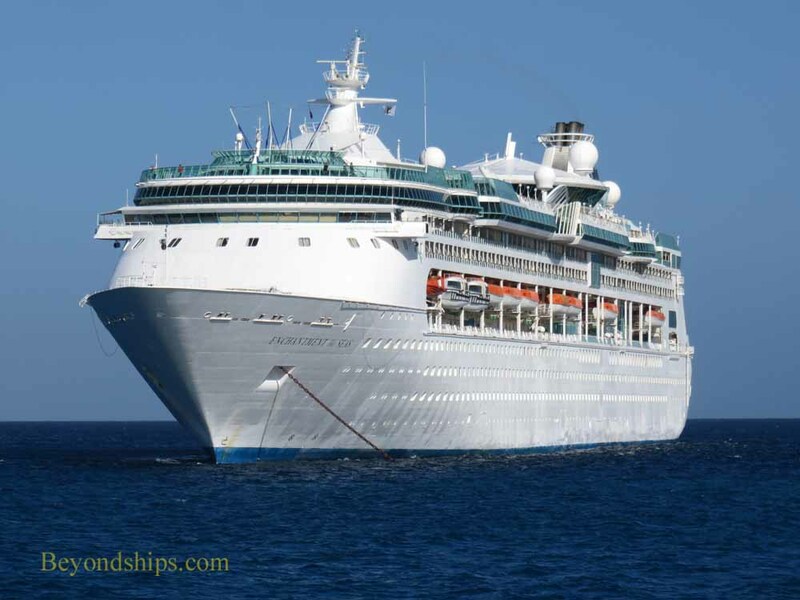 In this photo feature, we follow Enchantment of the Seas during a four day cruise. ​The starting (and ending) point for the cruise is Dodge Island in the Port of Miami (left). 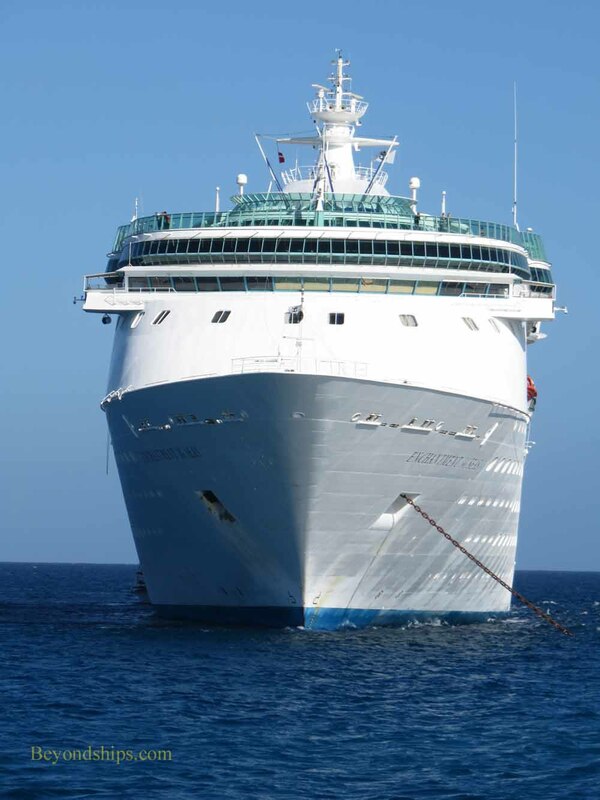 The next day, Enchantment is along side in Nassau, the Bahamas. 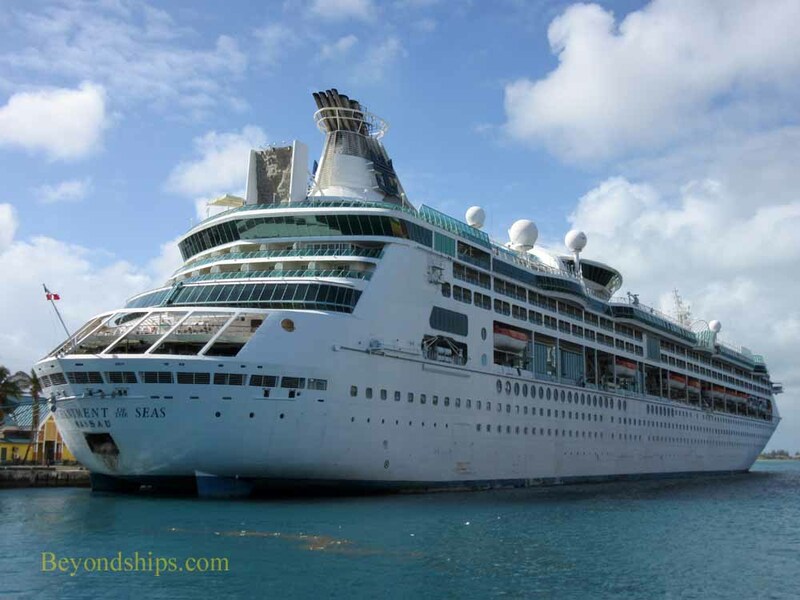 Her berth is near the entrance to the cruise port, a short walk to Nassau's main shopping district. 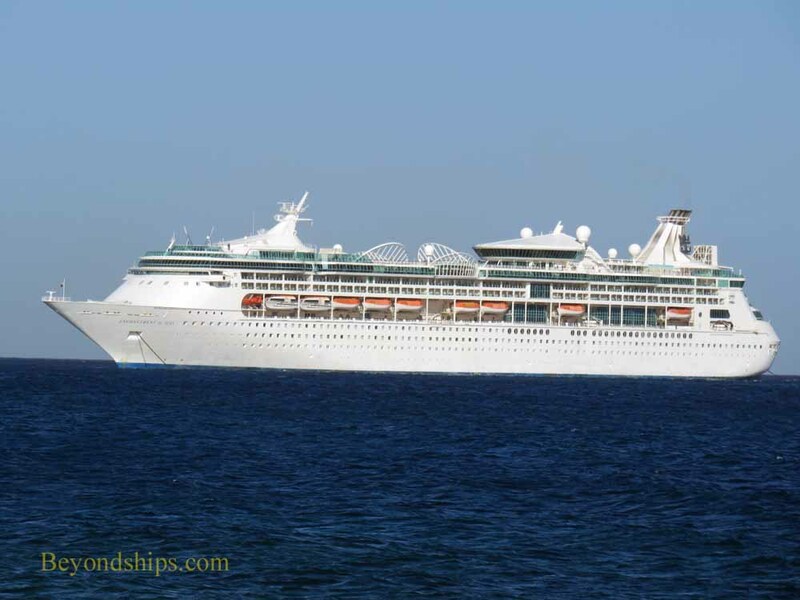 The third day of the cruise finds Enchantment anchored off Royal Caribbean's private island in the Bahamas, Coco Cay. 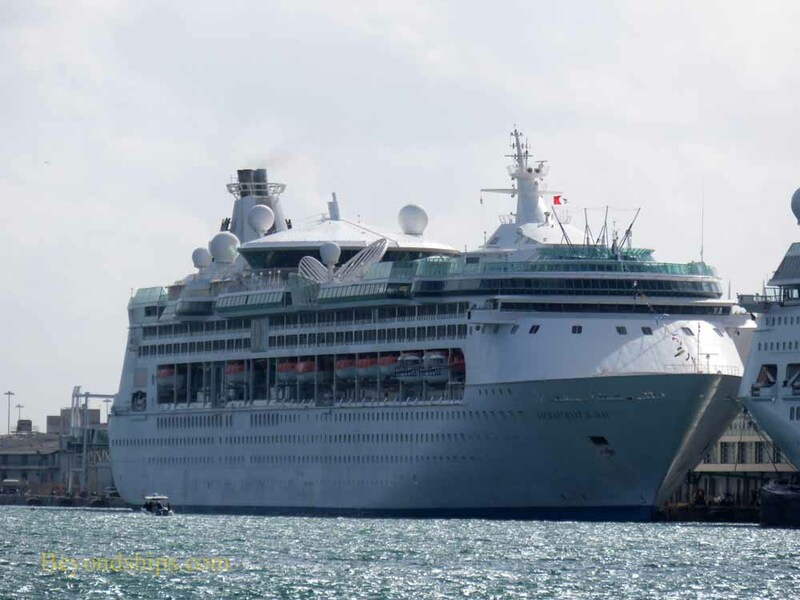 This is a tender port and passengers and crew are ferried to the island using boats kept at the island. 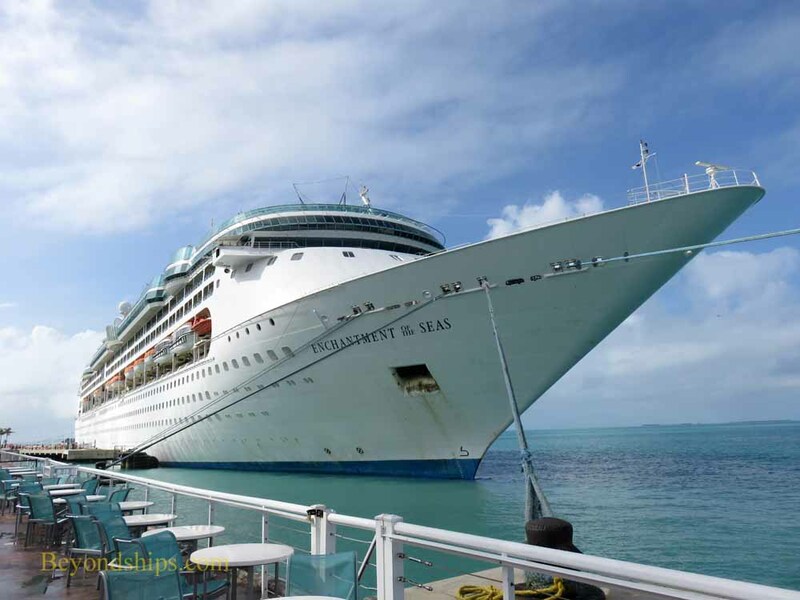 For the final day of the cruise, Enchantment returns to the United States, docking at Key West, Florida. 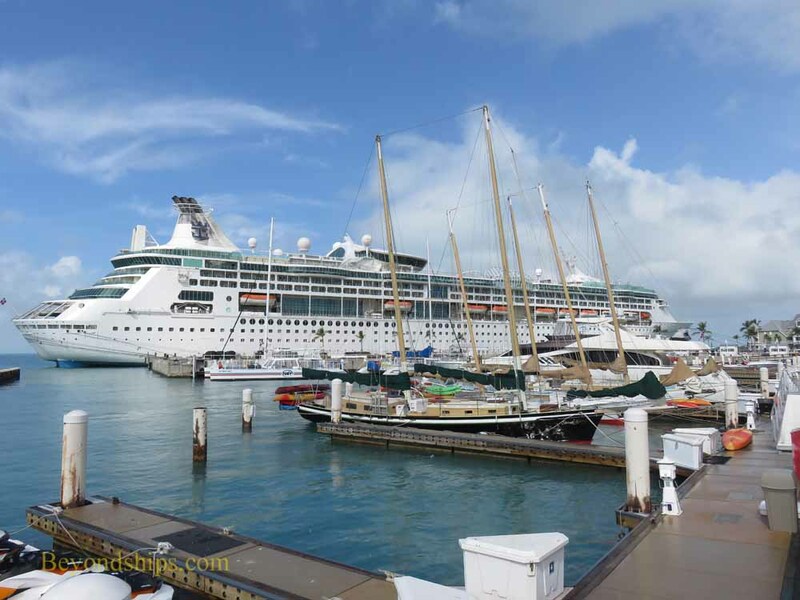 Her berth today is a short walk from such attractions as Duval Street, Mallory Square and the Truman White House.